Doubt often exists side-by-side with faith. 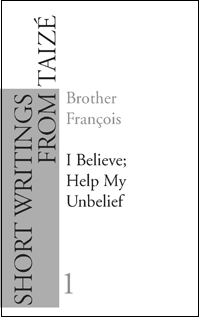 Who can believe without sensing the limits of his or her own faith? And yet even just a little faith is enough for us to go forward. That conviction, often expressed by Brother Roger, provides the starting-point for the reflections in this article.